I was a bit miffed when I saw the box, not knowing what it did, but it’s a little powerhouse of sound which links to your own music via your iTunes collection or the music on your phone etc and it also links to radio stations. So how about this for being the perfect present for a music lover who doesn’t listen to anywhere near as much music as preferred?! We set up the speaker in the office, but because it’s so small and light I transferred it to the bathroom, with the plan to listen to an album from start to finish. When was the last time you listened to an entire album? I think the only time I’ve done it since the invention of the MP3 player was for Radiohead’s In Rainbows, in 2007. Not only is it brilliant, but also the first time a major international act released an album where the buyer could download it and pay what they thought it was worth. I love that album still (and happily paid about AUD$20 for it!). 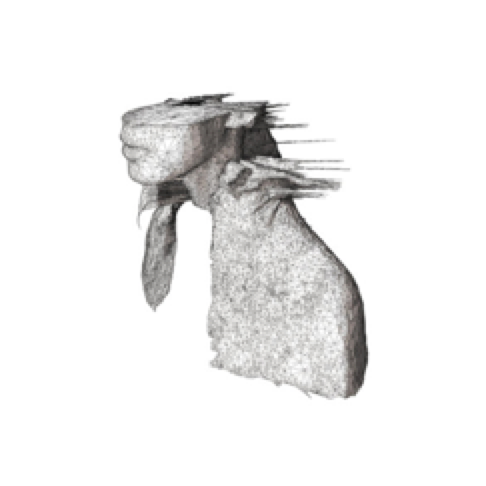 Using the app that you need to download to work the speaker, I went to “All Albums” and closed my eyes, scrolling down for a few seconds and eventually stopping on A Rush Of Blood To The Head by Coldplay, released in 2002. But by about song eight, I started thinking I’d heard the song before. This same feeling hit me when I saw Coldplay in concert, turning to my mate Phil and asking “Haven’t they played this already?” It becomes a bit samey-samey! When Chris Martin sang the final words of the final song “Amsterdam” 55 minutes after I first lay down, I too was ready to be cut loose. And not just because my fingers were pruning. It was the first time I’d really listened to Martin’s voice, and I like it for its imperfections. The acoustics in the bathroom weren’t too bad, and while in corpse pose I really started to relax. Maybe that could have something to do with the excellent smelling bath bubbles too. Here’s the track listing, to jog your memory about A Rush Of Blood To The Head, if you, too, know the album, but haven’t listened to it for ages. Wishing you a wonderful day, and apologies for my terrible 70s British comedy gag! LOL – yesterday!! And in the bath, too. Though I’m afraid the age difference shows up, as I listened to a 1978 Whitesnake album as I soaked… ;o!! But it’s quite true, listening to a whole album (in order!!!!) is a rare treat these days and oh so satisfying when you know exactly which song is coming next… love it. Ahahaha that’s a classic! I thought I was the only one 😉 Hopefully I’ll stumble across an old album with the next “spin of the wheel”. I have 1,517 albums to choose from (not all complete though) – so much for being a minimalist! But they’re all digital now, not many actual CDs still hanging around. Don’t have any Whitesnake though! But I do love that long-forgotten feeling of knowing exactly what the next song will be, and humming it before it begins. I think there’s still a few albums buried deep in my brain where I can do that, but not many! Thanks for stopping in swissrose – I can’t wait for another coincidence like this!